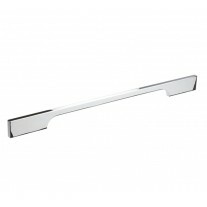 This thumb turn lock with modern bevelled edge rose is the perfect choice for those seeking a lock for bathroom doors in any sophisticated interior. 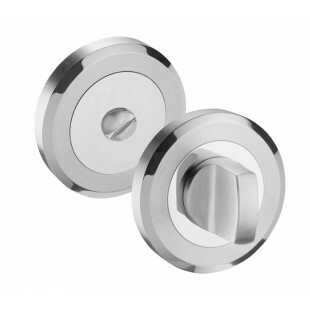 Manufactured from grade 304 stainless steel with a mixed polish and satin finish. 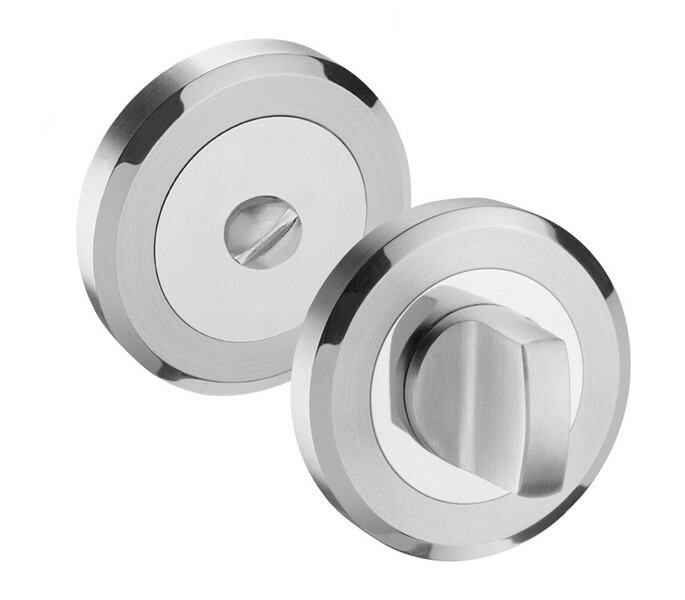 Our thumb turn lock features an emergency coin release which is fitted to the outside of the door to enable entry from the exterior when required. 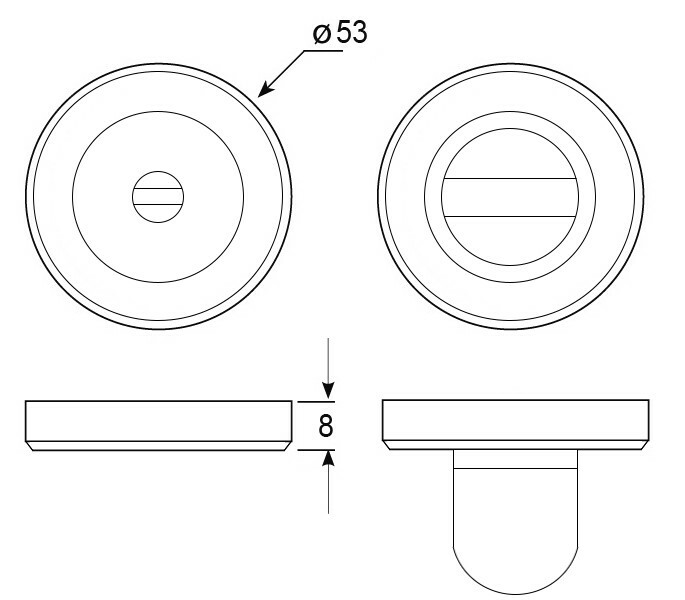 This product is sold singly with wood screws and a screw-fit outer rose pair to ensure a concealed fit. 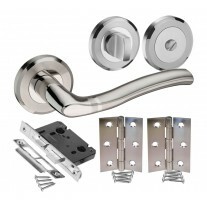 This item is designed to be used in conjunction with a bathroom mortice lock and handle pair or a deadbolt, all of which can be bought separately if required.